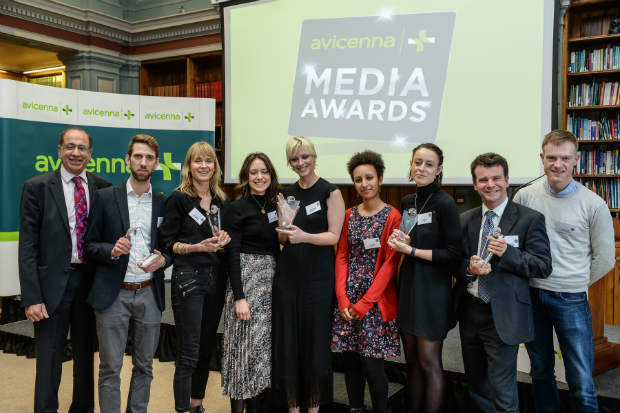 C+D’s digital reporter was recognised at the Avicenna Media Awards for securing two big exclusives less than a year into the role. Isabel Finch was crowned Newcomer of the Year, with judges commending her for securing exclusive comments from pharmacy minister Steve Brine – highlighting his vision for greater use of automation in community pharmacy – and the revelation that newly appointed health secretary Matt Hancock wants a “move towards the French model” for pharmacies. With less than a year's experience reporting on community pharmacy, Ms Finch was also praised for defending contractors’ reputations when she uncovered that the government’s crackdown on alleged fraud in pharmacy was based on just one example – over 10 years ago. Commenting on her win, C+D editor James Waldron said: “Isabel has had an incredible first year at C+D and this award was well deserved. The tenth Avicenna Media Awards – which annually search for the very best writers in the pharmacy trade press – was held at the Royal Society of Chemistry in London. REVEALED: Are DH claims of pharmacies 'scamming' the NHS accurate? What was your favourite C+D story from last year? Congratulations, I've always enjoyed Isabel's articles, and I am looking forward to seeing more in the future! Well earnt accolade!